... The Way You Want It! Healthy, nutritious and delicious vegan meals prepared and delivered. Perfect if you're transitioning to a Vegan diet. Night Owl Vegan’s Chef, Sherimane Johnson, prepares great tasting, healthful, affordable vegan meals and delivers them to the comfort of your home. Forget the daily grind of shopping and cooking. Our vegan meal service includes 100% plant-based breakfast, lunch, and dinner choices, packaged to reheat and enjoy at your leisure without the stress of wondering “what am I going to eat”? Perfect if you are transitioning to a Vegan lifestyle. Viola! Bon Appetit! You’re Done! Simply heat up one of your prepared meals and enjoy. We cater parties large and small providing vegan desserts, appetizers, and entrees. We're more than late-nite dessert delivery! Grab your favorite Night Owl Vegan meals & desserts “take-out” style from our pop-up location at The Vision Venue, 410 South Street, Philadelphia, PA 19147. We’re there most Wednesdays from 5:30 pm – 9:00 pm. 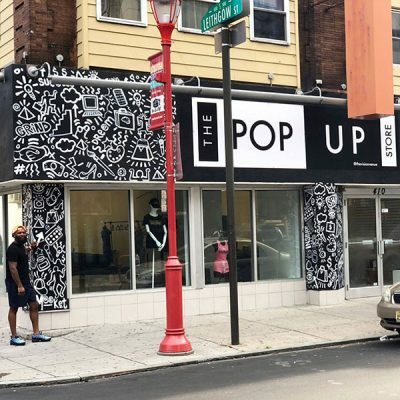 The “Pop-Up” experience gives us a chance to connect personally with customers and to make new friends. Order online (preferred), or stop by. Either way, you’ll be able to enjoy our 100% delicious, 100% vegan meals and desserts. Sign up to be notified in advance when we'll be in your area. Servicing Germantown, Mt. Airy, Center City, Univ. City/West Philly, and South Philadelphia. Finally ordered from Insomnia Vegan the other day and all of the things were amazing!